While a reported 34.6 million people tuned into the Oscars, another highly anticipated “real-time marketing” red carpet event of sorts was happening simultaneously on social media. 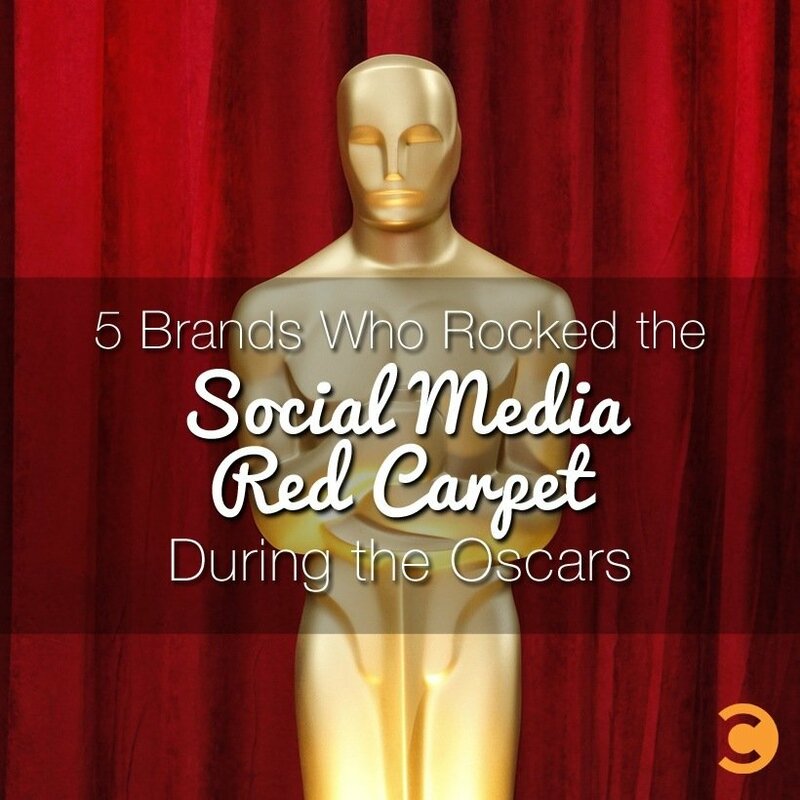 From powerful messages to clever interruptions and even praise from Oprah herself, here are five brands who rocked the social media red carpet during the Oscars. In one of the more upbeat Oscars performances of the night, Tegan and Sara and the Lonely Island performed “Everything Is Awesome” from The Lego Movie. While this performance was happening, Lego replicas of the Oscar statuette were handed out to celebrities in the audience, much to the delight of folks like Oprah. The key takeaway? While this was clearly a product integration, the buzz generated from creating something so aligned with both Lego’s product and the event was clearly a homerun. Given the more than 6,000 retweets and favorites combined, it would have been amazing if Lego could have run a contest to offer a few lucky fans a chance to win one as well. One of the biggest surprises of the real-time tweets of the night was NASA. During the Oscars, NASA cleverly shared fun facts while rooting for The Theory of Everything and Interstellar. NASA’s real-time tweets are a great reminder of how to add value and stand out during an event with a lot of conversations happening. The takeaway? Make sure your real-time tweets are entertaining, relevant, and contain an eye-catching visual that adds to the story. Another way to boost engagement during the Oscars is to offer fans something unique that they couldn’t find elsewhere. The TODAY Show embraced this spirit by pulling up “then & now” style photos of famous actors and actresses. A photo of the actor or actress in their 2015 Oscars outfit was paired with one from the past. This idea was simple yet incredibly effective, proving that you don’t always need to hijack the conversation to get ahead . Instead, consider how you can add value and grow the conversation with a related topic. Many brands try, yet few succeed when it comes to inserting their brand into real-time events like the Oscars—which is precisely why Whataburger’s tweet stands out. It’s simple, clever, and taps into our cravings. Featuring a mouthwatering image of french fries in a popcorn machine and copy about wishing this was available at movie theaters, it fits in with the movie-themed awards show. Clearly, fans of Whataburger agreed, driving high engagement around this tweet. Note to movie theaters: make this happen! Dove was trending on Twitter during the Oscars for its #SpeakBeautiful campaign, which encourages women to tweet positively about beauty and body image. According to the company, five million negative tweets were sent out last year on those topics, a trend that hurts versus helps us. Inspired by the notion that “it only takes one tweet to start a trend,” the company released a thirty-second video on YouTube and Twitter during the Oscars. The video showcases one positive tweet starting a domino effect, encouraging others to change the way they speak about beauty and body image on Twitter. The campaign, which was conducted in partnership with Twitter, reportedly generated 29,250 mentions—91 percent of which were positive. On YouTube, the video generated 62,000+ views and counting. The key takeaway here is how Dove took an event where we “oooh” and “ahh” over the beautiful celebrities and turned that sentiment into empowering ourselves to be proud of our beauty. This fits in perfectly with their ongoing Real Beauty campaign and celebrating people’s internal and external beauty. What were your favorite company activations during the Oscars?